Our FAN Committee has a healthy recipe to share! Scroll through for details, or click here to print a copy for your kitchen. *Nutrition stats are based on a single serving. Recipe makes 10 servings. Click here for a printable PDF, and visit heart.org/sodium for more information. Learn more about the dangers of sodium and how to eat healthier at heart.org/sodium, and stay tuned for more FAN updates and recipes! The FAN Committee is working hard to encourage healthy eating habits! A recipe for Roasted Broccoli with Garlic was recently published in our bulletin, and it sounds delicious. If you missed it, scroll through for the full recipe, or click here to print a copy for your kitchen. Did you miss the FAN Kick-Off Dinner? 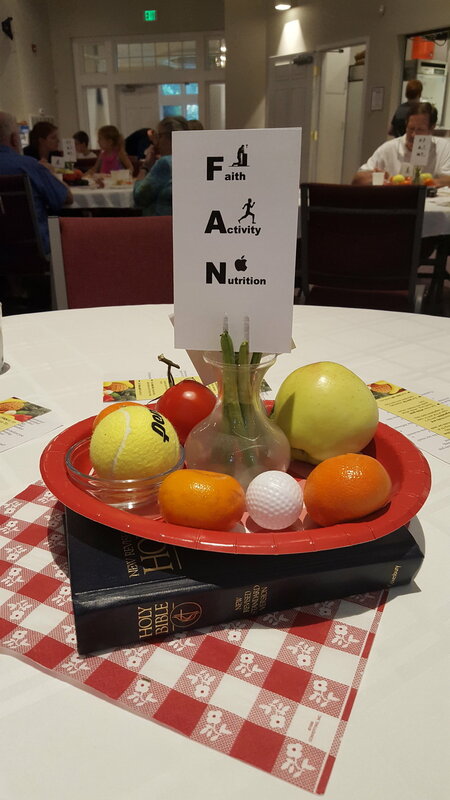 Well there's no time like the present to learn more about FAN (Faith Activity Nutrition) initiatives at St. Andrews Parish UMC! Several of our Sunday school classrooms and ministry groups have adopted healthy snack/meal options, and our Thumbs Up exercise group has resumed. Thumbs Up sessions are the 1st, 2nd and 3rd Thursday of each month at 1:30pm. The FAN Committee will be sharing tips and healthy recipes in church bulletins, newsletters and on one of our hallway bulletin boards. We will attempt to publish all recipes online as well. 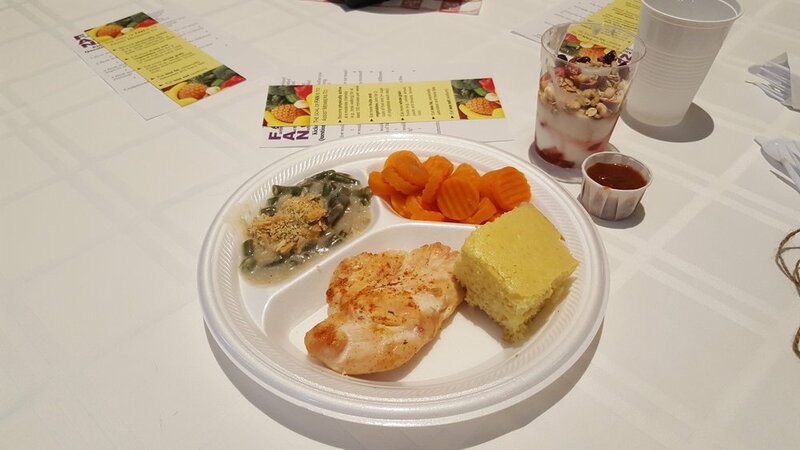 The FAN Kick-Off Dinner featured baked chicken, homemade barbecue sauce, cornbread and green bean casserole. Click below for printable recipes! Bon appetite, and stay tuned for more recipes! This post was contributed by Cindy Walden to spread the word about FAN, a faith-based program that is inspiring churches to create healthier communities. We set resolutions to be more active, eat better and feel better. We often want to change all at once. But, if we fail to meet expectations that we set for ourselves in haste, we may give up too easily. The FAN program was created with that in mind. It reminds us that moderation is key! God wants us to be faithful, diligent and healthy servants. We can all start somewhere. Whether it's gardening, walking or jogging; all activity gains health benefits. Be active at a level that is possible and enjoyable, and soon you will find that you can do more. To learn more about FAN, visit UMCS.org, and please stay tuned for announcements about FAN-inspired health initiatives at SAPUMC.